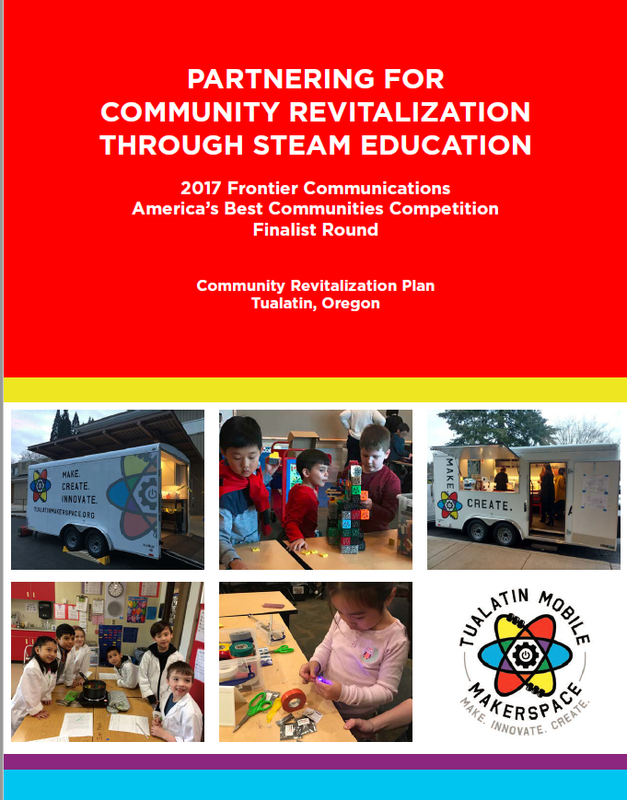 While Tualatin continues to seek solutions to all community-defined needs and priorities described in our Tualatin Tomorrow Vision Plan, our ABC initiative is hyper-focused on one specific target: connecting youth and underserved populations to STEAM (Science, Technology, Engineering, Arts and Math) education and CTE training that align with our advanced manufacturing industry base. In addition to providing jobs and personal growth opportunities for residents, we can begin to develop a workforce pipeline for a large cross-section of our employers. 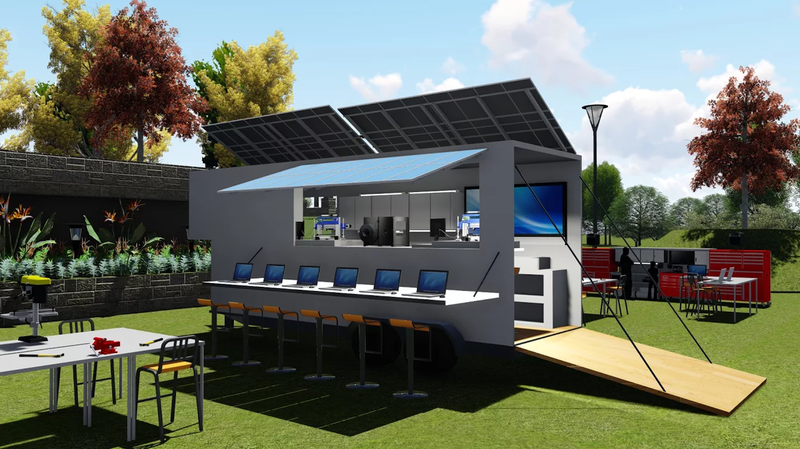 Longer-term, we intend to supplement the Mobile Makerspace with a permanent Career and Creative Community Center. The Center would provide space to add larger maker equipment, conduct classes and workshops and integrate performing arts. You can find out more about this team and its work at our web site or our Facebook page.